So next on the menu for me while I'm praying for Avengers vs. X Men to get better is another new DC title. (still can't believe I'm enjoying DC comics more then Marvel) This go round I chose to rock with Batgirl for a couple of reasons. 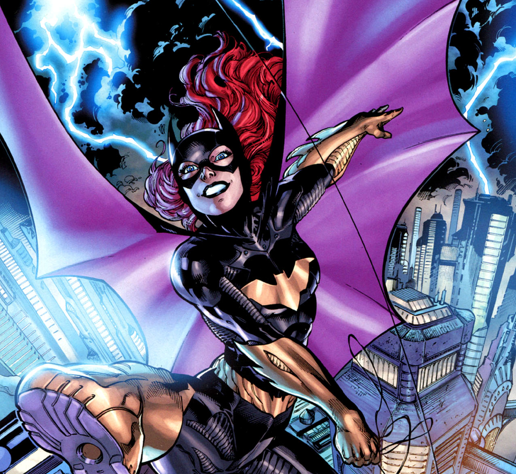 Mainly cause she's cut from the same cloth as Batman and also cause I always wanted to get with Batgirl when I was kid. (don't act like I was the only one checking for Batgirl) The new Batgirl picks up with Batgirl aka Barbara Gordon being able to walk again (The Joker paralyzed her during "The Killing Joke" series but through an experimental surgery she's back to basics) and back to fighting crime in Gotham City. The first dude causing havoc in Gotham is this cat named Mirror. This dude's family died in a car accident but people pulled him out and he feels it was unfair that he lived but his fam died. So this dude goes around killing people who should've died but survived and he's killing them the exact way they should've died. Kinda on some "Final Destination" type vibe. What I like about this story is when she first rumbles Mirror and he points a gun at her, she freezes cause she still shook over when The Joker paralyzed her. This is a prime example of what I was talking about earlier about my beef with the Hawkman series. The writers have made sure to not only make Batgirl's storyline is ill but the villan's too. Which of course, helps to keep me interested in wanting to keep reading. The dude Mirror has an ill past and so does Batgirl so the story lines are mad interesting. But at the end of the day, this chick has to get over being back in the game but being shook the whole time if she wants to stop taking L's. (cause in these first couple of issues she's takes a couple) I'm only 4 books into the series but so far I'm feeling Batgirl...I guess a lot hasn't changed since I was a kid!